Today was my son’s birthday party. We played with Legos. It was the easiest party ever. Legos, cake, and presents. They all had a blast and my son is overjoyed with all his new Lego sets. His Aspergers makes him obsessed with Legos, so today was his favorite day ever. He even got to go to Target and pick out some thanks to gift cards from friends. He was so excited he couldn’t stop jumping up and down this morning and now he is exhausted. I don’t want to fail to mention the tragedy in Connecticut, but it is so sad, that I don’t have words. My husband teaches at an elementary school. The fact that the world is becoming more and more dangerous terrifies me, yet somehow I still have faith that most people are good, there is a life after this, a God who looks after us, and a reason for everything. I obviously do not understand that reasoning now, but I hope that each family is able to find peace and comfort, especially during this time of year. 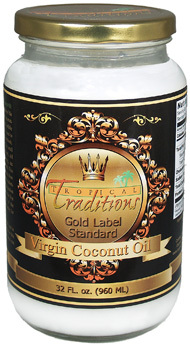 I recently had the opportunity to review Tropical Traditions Coconut Oil. It is amazing. It is good for you, doesn’t become carcinogenic at higher temperatures, and works great as a replacement oil in all types of baking and cooking. I enjoyed using it, and won’t go back to regular canola or vegetable oil anytime soon. It has also been shown to be one of the best oils for your body. Tropical Traditions is a great source. They are a co-op so you are able to buy in bulk, plus get other fabulous products. I will be giving away a jar of this fantastic product to one lucky reader. All you have to do is comment below. My friends at Pure Wow are also giving away a free lip balm. Go get yours today. In honor of Monster’s Inc. coming out soon, here are some fun coloring pages and activity sheets. I hope your day was as busy and fun as mine. My sad, angry son is finally starting to return to his overly busy self who is super happy. He did lose all access to video games over the weekend for wandering off and leaving a store without us, but he’s learning, and while it was really upsetting, he didn’t lash out violently. He just cried, then tried to sneak the iPod, and lost even more days. We are learning to stay with mom and dad, and to follow the rules. Such hard lessons for all children, but especially hard for him since he is so easily distracted, and just isn’t aware of danger at the same level that the rest of us are. It terrifies me, but hopefully he’ll learn, and his counselor will be able to help us with that.